We did a volcano theme because the children were so interested in singing I Lava You when they learnt it in school. That was so cute to hear them singing it together! So I tried to cobble something for them from the good, ol' Internet. Listing out some of these activities and free printables if you want to try with your kids! 3.5 years - Focusing on the letter V and some vocabulary, you can print out some letter V handwriting worksheets here and some vocabulary with pictures here. 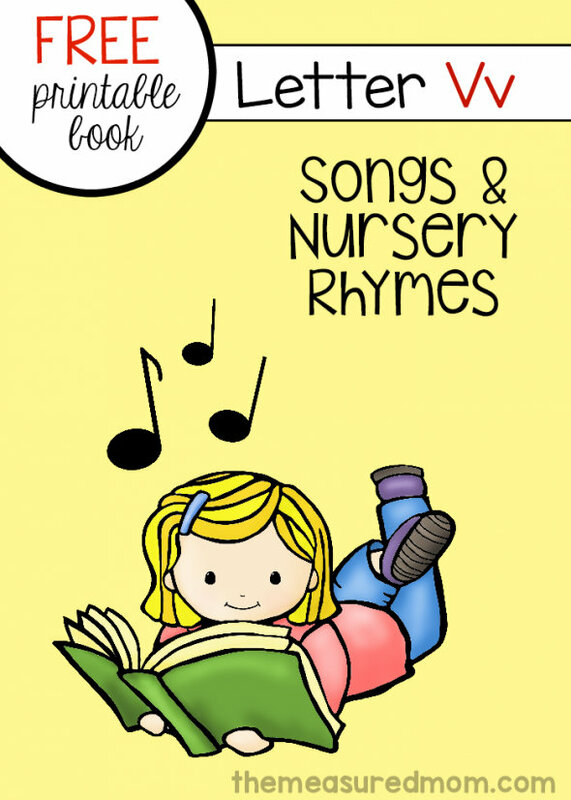 There's a very cute resource that has various rhymes and songs about each letter. My kids love singing these familiar rhymes and songs. They are in colour so it's nice and attractive. 3.5 years - Colouring by numbers I think my older kid like this activity more. My boy is like meh to colouring. What is a volcano theme without our classic volcano science experiment? All you really need are 2 ingredients - baking soda and vinegar. If you are feeling more adventurous, you can use grey/brown plasticine to mould it into the shape of a volcano. This is great exercise for those little fingers! Some red paint or food colouring. We also did a little extension activity where I taught Kyra to collect the gas and test for it using a flame. Now she knows if the flame extinguishes, it is carbon dioxide; if the flame grows brighter, it is oxygen. She sometimes still mixes the 2 and calls it carbon dioxygen. I don't know... More experiments needed? I'll add in some more Chinese work that we've been doing next time. If you love the ideas here but find it a hassle to look for stuff all over, try one of our themed boxes today! 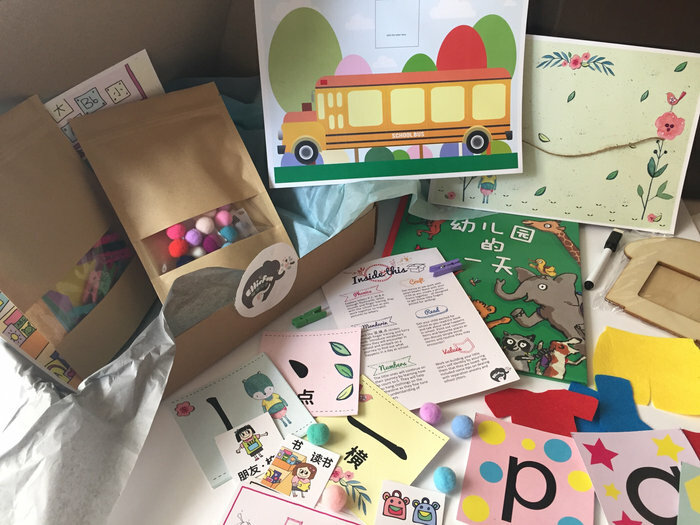 Everything you need to teach your child is packed in a box delivered to you monthly. Play, learn and connect with your child!